After Kit Kat, will next Android version be named ‘Lassi’ or ‘Laddoo’? New Delhi: A team of 50 students from IIT Kharagpur that organizes its annual fest – Kshitij – has been touring across India to campaign for ‘Lassi’ as the name of next Android version of Google. 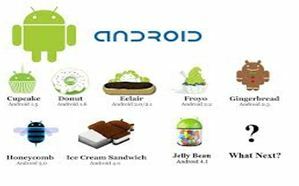 Google has chosen the name of its previous Android versions on various desserts. The team has already visited Guru Nanak Dev Engineering College (GNDEC), Ludhiana and also a wokshop at Lovely Professional University, Jalandhar. The team has also written an open letter to Sundar Pichai (who is the Senior Vice-President of Android, Chrome and Google Apps at Google) about this. India is amongst the biggest consumer markets for Android. The average annual growth of Android here is 57.7% per year. Hence, IIT Kharagpur students are hoping to get an Indian drink on the list of Google android versions. 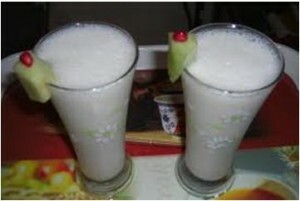 Android all versions, Android version be named ‘Lassi’ or ‘Laddoo’? The other android versions of Google have been named Cupcake, Donut, Éclair, Froyo, Gingerbread, Honeycomb, Ice-Cream Sandwich, Jelly Bean, and Kitkat. The next letter from which the name of the android version will start will be ‘L’. A group of 500 Indian startup tech companies have also come together to root for ‘Laddoo’ as the name of next android version of Google – another popular Indian sweet. IITs have been leaders in social and technological revolutions in India. Appear for IIT JEE 2014 to be an IITian! « Crash Course for IIT 2014 is now about to begin!